By now, we don’t think anyone needs to be told what YouTube is. It has been the largest video hosting site for quite a while and isn’t going to go away anytime soon. It has ingrained itself in the popular consciousness at this point. For many, the very concept of online video hosting has become synonymous with YouTube. While it is possible to host videos on WordPress, YouTube is still the primary choice for most. If you are a WordPress site owner and want to include content from YouTube on your site, then you are in luck. We are going to help you find the perfect WordPress YouTube plugin. With these plugins, you will easily be able to ensure that YouTube videos will work beautifully with your site. Before that though, let’s go through a few reasons why you should include video content on your website. Unless you’ve been living under a rock, you already know about how important SEO is for a website. There’s a lot of competition and getting a site to rank at the top is the biggest struggle for every business. If you are a website owner, you obviously want your site to rank on the top of the search engine result pages. Even the results at the first page which aren’t on the top get overlooked. So, you have to always aim for the top spot in the SERPs(Search Engine Result Pages). But, how do you achieve this? SEO is a vast topic, and there are many elements in it. Nevertheless, you can start by installing an SEO WordPress theme for your WordPress site. Even if you’re a complete beginner at SEO, you can make your site SEO optimized. Getting your site to rank better takes some effort but, it’s worthwhile. The most important thing for better SEO is the use of keywords in the content. Similarly, there are a lot of factors that make your on-site SEO better. Using keyword optimized tags and categories, writing meta description, keyword in the title, optimizing the URL, adding random posts, etc. are the few necessary points that every website owner must follow. But, you must have an SEO WordPress Theme for this. 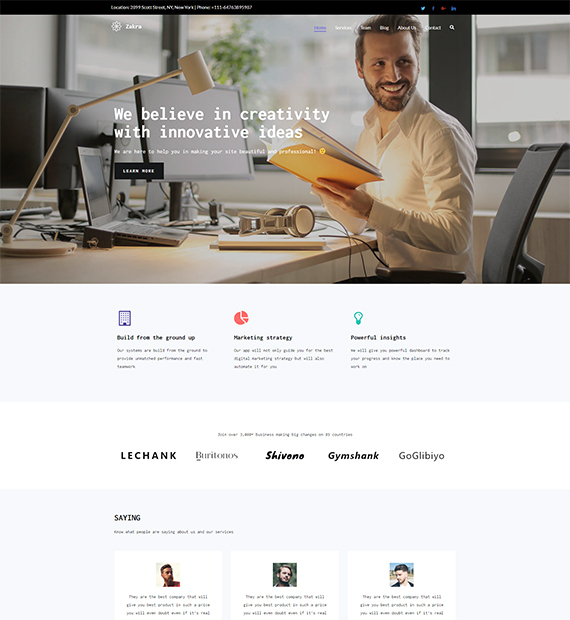 15 Amazing WordPress Classified & Directory Themes for 2019! Directory websites have been a part of the internet for a long time and for a good reason. They provide a convenient hub where users can find something they want. It doesn’t matter whether you want to find a place to eat, discover a movie theater, or even search for an electrician in the area. The chances are, there is a directory site that can lead you in the right direction. 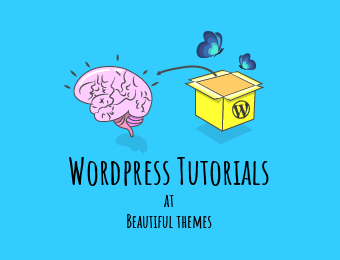 If you want to make a directory listing out of your WordPress website, there are many fantastic themes available. In this list, we are going to help you find the perfect WordPress directory theme for your site by listing the best ones available. Directory sites are basically places where useful links are collected and organized into certain categories. While that may seem easy at first glance, it gets more complex than that. A directory website would need to have a lot more to effectively draw in visitors. In order to turn your site into a great directory site, your WordPress directory theme needs to have some important features. Ads are everywhere. Go to any site, and you’ll find ads there somewhere. Whether it may be an image, gif or even a video, ads have become one of the significant sources for generating income for many bloggers and website owners. Placing advertisements is a great way of monetizing your site. Besides, it’s really easy to add any type of advertisements to your site these days. There are various advertising programs available for blogs and all types of websites. Although, Google AdSense is the easiest and most efficient advertisement program for content creators to monetize their sites. But, how do you start earning through AdSense? – Pretty simple! Just install an AdSense WordPress theme, and the money will follow. If you are on the non-technical side then Google AdSense is the best advertisement program for your site. Apart from other advertisement programs, you can get just a piece of Ads code to add AdSense Ads in your site. Then, it will handle the Ads to show in the site. AdSense makes it easier to integrate high paying Ads in your sites. There are many amazing themes that offer WordPress AdSense Template. Generally, a WordPress AdSense theme has advertisement optimized design which makes your site ready for adding Ads and earning from it. Images have been an integral part of web design for a long time and will continue to be so for the foreseeable future. Whether it is photographs, infographics, stock photos, or charts, you can use images to convey things in an extra engaging way. There are many ways of presenting images on your websites. One way, which is pretty common is through slideshows. While images are engaging enough, slideshows can improve things and make them more dynamic. It all ends up making your website feel more lively for your visitors. So for today, we are going to help you make your site more interesting and showcase 10 of the best WordPress slideshow plugins around. As great as they can be, poorly designed sliders can leave your visitors with a worse impression of your site. As a result, it is important to be careful when it comes to choosing the plugin. To help with that, we are going to go through some of the best plugins below, both free and premium. In the digital world, customers rely on reviews online to determine the quality of any product or service. According to a survey by Search Engine Land, 88% of consumers trust online reviews as much as personal recommendations. So, reviews work better than the word of mouth when it comes to increasing brand awareness and reliability. Online reviews have become indispensable means through which buyers can inquire and decide on what to buy. As a matter of fact, most customers don’t even visit a shop or business before reading reviews about them. So if you want to manage your reviews online, having a good WordPress Review Plugin is a must. Businesses and customers both benefit from reviews. Especially, customers get genuine information about products online from reviews without having to go through the trouble of physically testing them. For business owners, good customer reviews attract more attention to the products while bad reviews give the chance of improvement. It’s always a good idea to make customers review and rate your products after they purchase them. And with the help of a WordPress customer review plugin, your customers can leave reviews on your site effortlessly. WordPress is a popular, powerful content management system (CMS) that’s used to power more than 33 percent of the websites on the internet today. Many people still consider it a mere blogging platform, but it’s used by businesses of all sizes and major players like TechCrunch, BBC America, Vogue and many internationally recognized company websites. Gutenberg is a new WordPress editor designed to give users a simple way to discover, use and interact with different elements on the page. It will replace the visual editor users are currently making use of. It is set to become the new standard for WordPress editing. Gutenberg promises to offer new, exciting and multiple possibilities in the WordPress user experience. Gutenberg editor has been designed to completely change the editing experience both in the way it works and in the way it appears. 2018 is just about to come to a close. So, now’s the best time to talk about what’s going to change in 2019 in the world of local SEO. Over the years, local search, and ranking factors along with it have evolved. Online reviews were of no importance at one point in time but they matter now. Search user behavior and engagement didn’t matter much to rankings in the past. But, ranking factors seem to have changed to accommodate this as well. In a world that is progressing towards voice-assisted search and zero-click buying, what is going to define local search rankings in the future? To answer this question, here are the top 5 local search ranking factors that we think will matter in 2019. Nowadays, the number of websites is growing day by day. They are created for almost everything. The increasing advancements on content management systems(CMS) have helped a lot in the development of websites. This is because it’s also very easy to create websites through them. So, we can see websites for anything from an event or marriage reception websites to business websites. Similarly, they are also created for insurance companies and agencies. The insurance agency websites can benefit a lot to the agency. It can grow the number of clients and highlight the insurance plans to your audience in a better way.